Actually had a whole day in the studio and got quite a lot done! 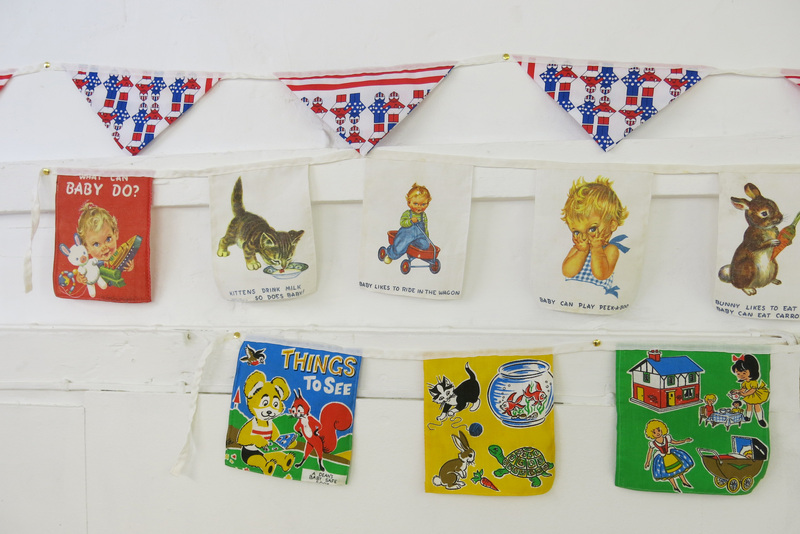 Unloaded and re-displayed all the vintage goodies from the weekend, made a curtain to cover up where the hoover lives, made three lots of bunting and tidied up! Phew! 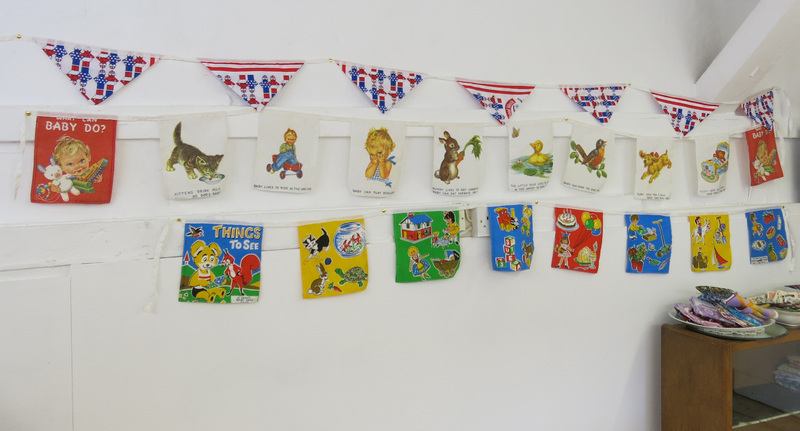 They’re made from vintage baby books and vintage scarves and look good I think! All unique too!